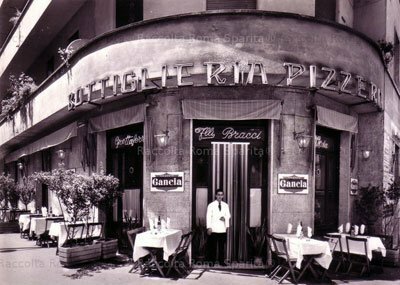 Since it opened in 1968 offering Venetian cuisine, knowing Romans have perpetuated its “in” status. 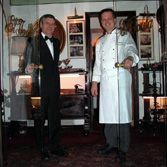 Near the grand Fontanella Borghese Palace, it survives because it has an attentive staff, offers an elegant private atmosphere with tables spaced well apart, and thanks to chef Fabrizio Leggiero has above average food and wine. Start with prosecco and little coin-sized blini with black caviar and a sauce lighter than sour cream. Or try the humble baccalà (cod) transformed into a refined, tasty mousse. Creamy radicchio risotto paired with red wine from the Veneto made a fine transition before the meat course. Filets arrived with vegetables all grilled to perfection. Pear torta was light. Ideal for business or romantic occasions.